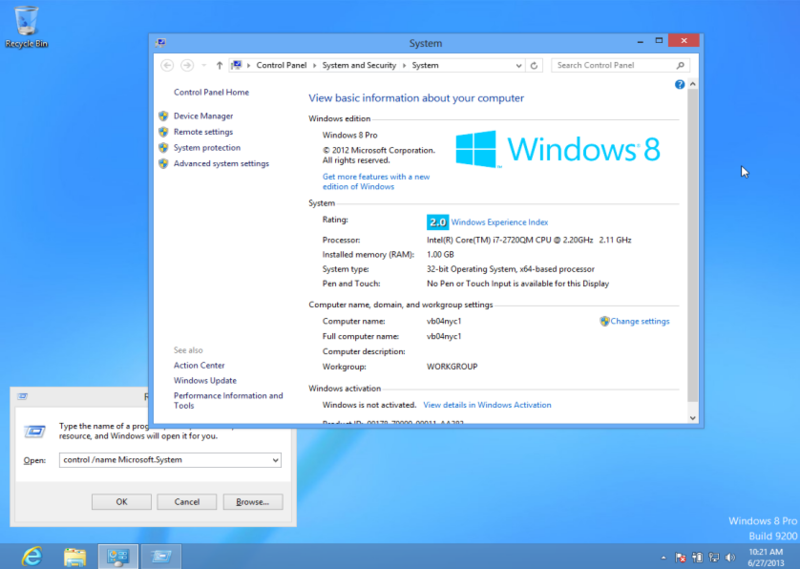 Here’s the quick way to find the bit version of your copy of Windows 8 or 8.1. The system dialog box opens. In the right pane, the fourth line in the blue Windows Experience Index box shows you whether your system type is 32 bit or 64 bit. Or you could just press Windows + Break to bring up the same thing! True, but all not all keyboards, even the new ones, have the Break Key. how do i do this with mac yosemite 10.10.5?